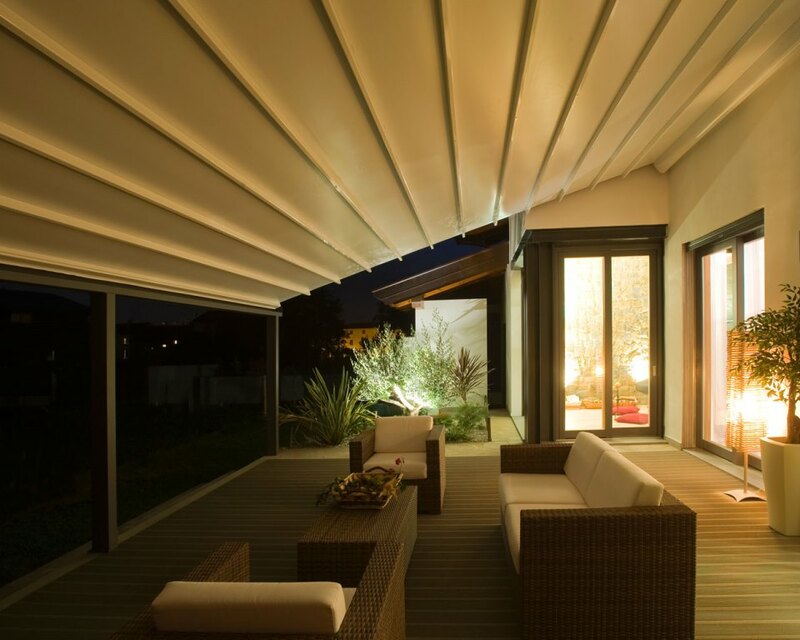 Enviroblinds aluminium pergolas are the perfect solution to transform your outdoor terrace into additional living or work space. 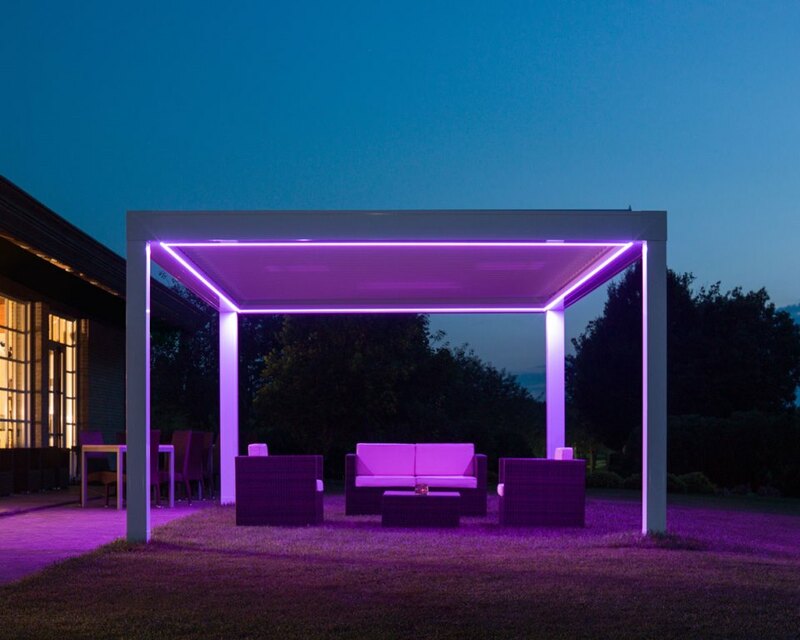 Choose from a range of free standing pergolas or wall mounted pergolas with fully closing roofs and doors to create a contemporary garden building. 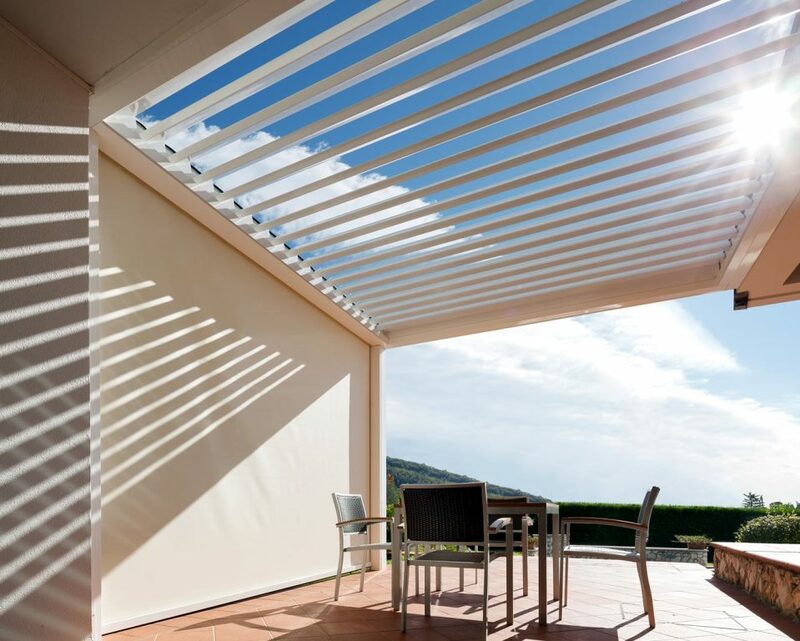 Roof options include fully opening and closing canopies or tilting aluminium louvered slats which allow control of sun and ventilation. 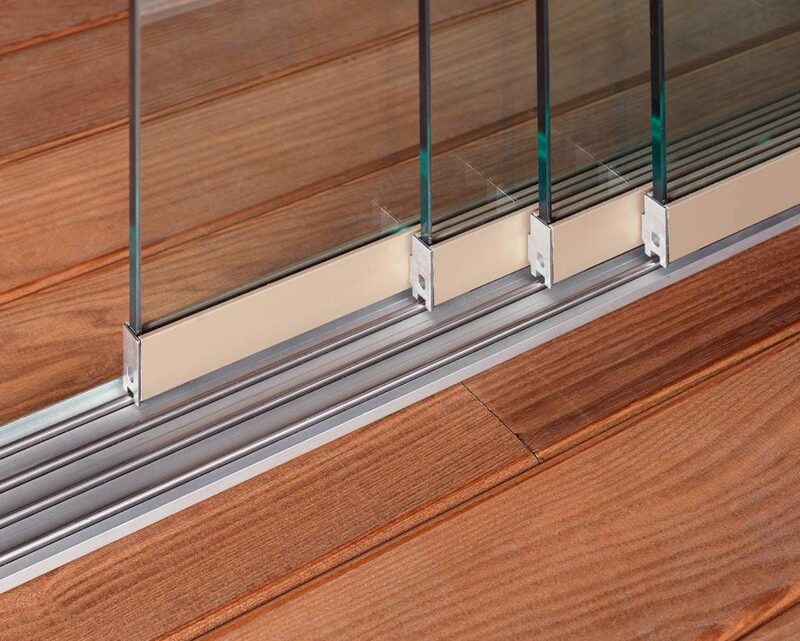 To fully close from all sides, glass sliding doors or roller fabric screens with aluminium frames can be specified. 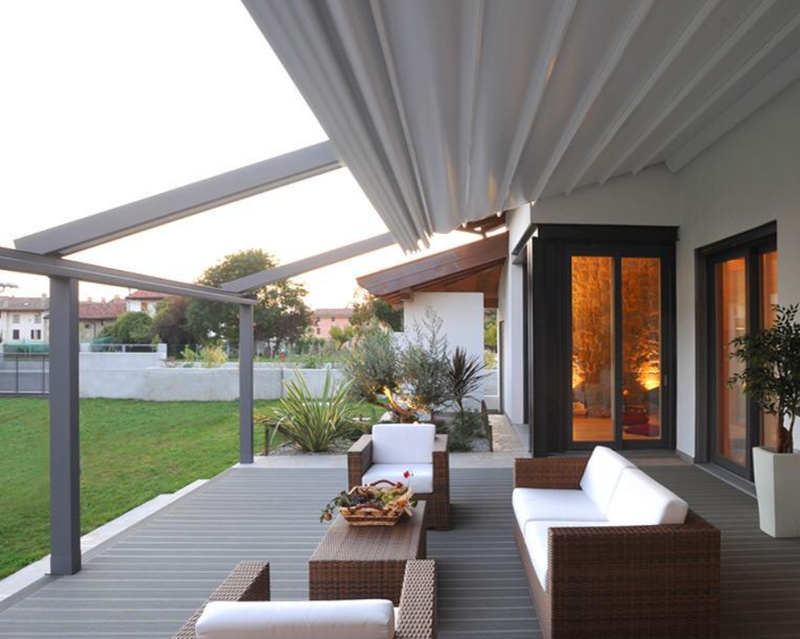 Open the roof and doors to enjoy the sunshine or simply close to protect against the weather. 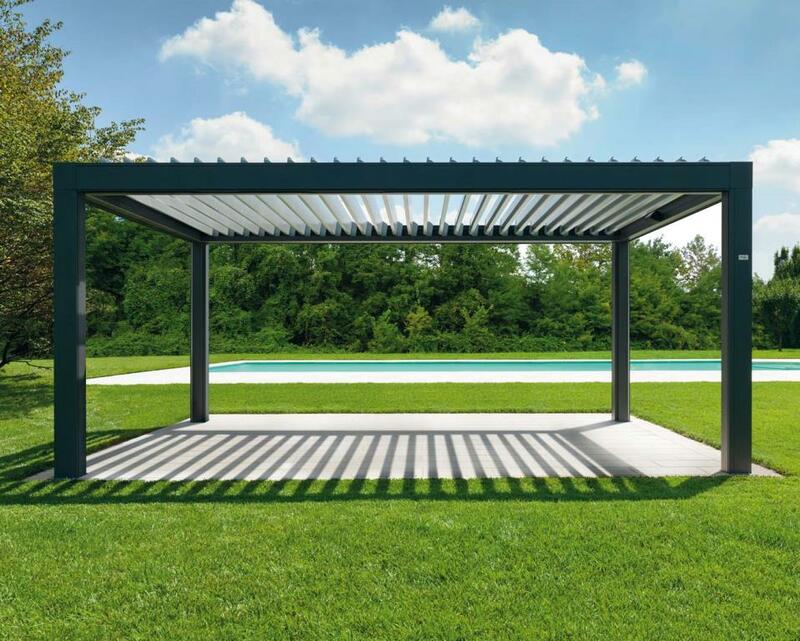 The sturdy roof combined with doors and integrated water gutters draining into the posts, ensures the pergolas are weather proof. 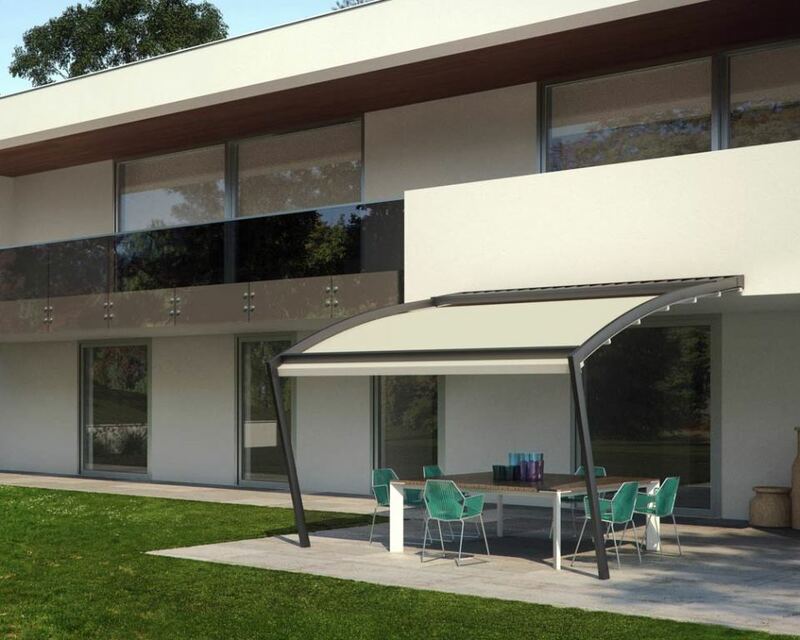 Optional sun, wind and rain sensors will automatically close or open the roof to give you complete peace of mind. 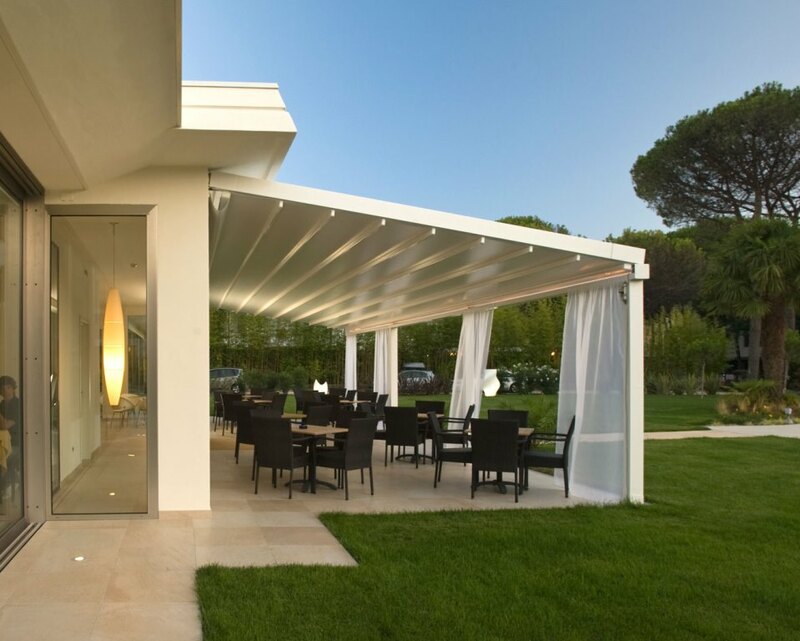 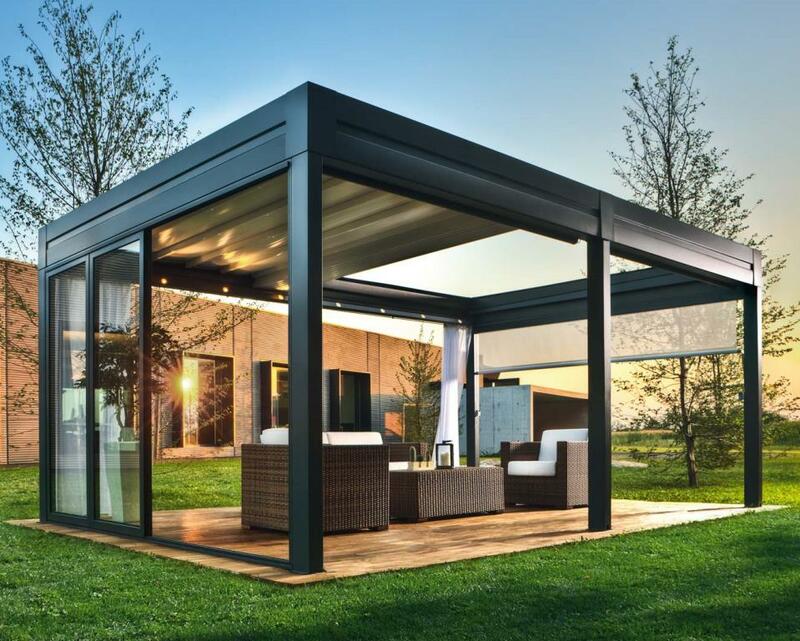 Modules can be conveniently connected to extend your pergola and increase your garden living space.